Breakfast and WIFI access are provided free of charge at the ibis Styles Hildesheim hotel and at every ibis Styles hotel. Hildesheim is full of surprises: The city is characterized by a refreshing blend of historic splendor and a young, vibrant feel ? every visit is an experience. The 96-room ibis Styles Hildesheim hotel is the ideal starting point for exploring: After a relaxing night and delicious breakfast, the old town can be reached on foot. There is a lot to discover in Hildesheim: The historic center boasts meticulously restored buildings from the Middle Ages, and the thousand-year-old St. Mary's Cathedral and the Church of St. Michael are UNESCO World Heritage sites. Warm, welcoming and modern, with a comfortable bed and a practical bathroom, our rooms offer everything you need for an enjoyable stay. 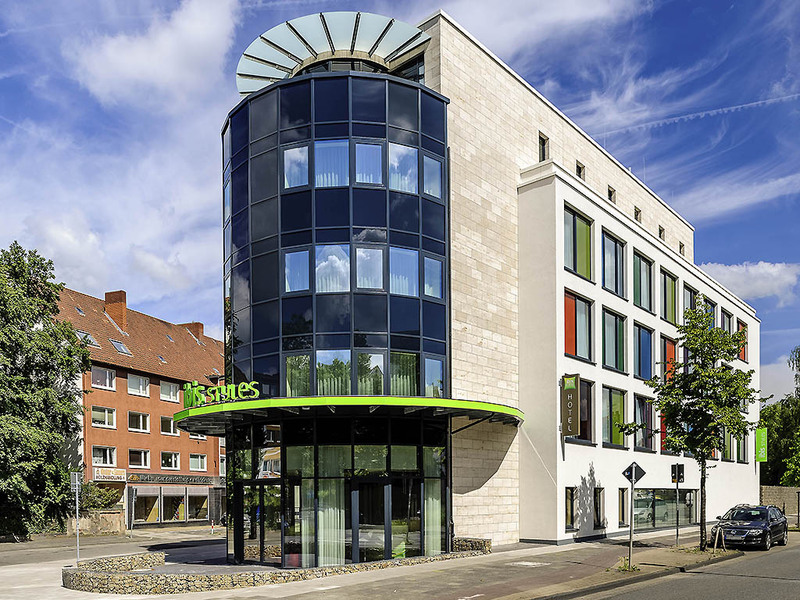 "At the ibis Styles Hildesheim, a wide range of services are provided free of charge, including: 24/7 WIFI access, flat-screen TV with a large choice of channels and phone calls to German landlines. All bathrooms have a shower, WC and hairdryer. All Comfort Double Rooms: 1 double bed (71" x 79" [180 x 200 cm]). Are you one of those people who hate clock-watching? Then this is the perfect hotel for you: The ibis Styles Hildesheim hotel bar is open around the clock every day, serving drinks, refreshments and tasty snacks. Correto, simpático e boa localização. Equidistante da Estação de principal deTrens e da praça central e do lindo centro histórico da cidade. A uma distância de duas quadras grandes da Estação de trens, num lugar tranquilo, silencioso. Dá para ir a pé- avenida plana e larga sem percalços- desde a estação. Muito agradável. Quarto de bom tamanho, ducha ótima, café d manhã também bom. Atendentes muito atenciosos. A Olga e um rapaz que nos recepcionaram na chegada foram extremamente gentis. Na frente do hotel tem lugar demarcado para estacionar. No mais o padrão da rede, e não decepciona.Voltarei e indicaria a amigos certamente.